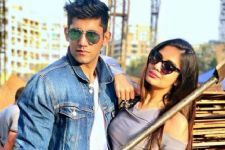 Nishant Singh Malkani's 55 feet jump will stump you! Nishant Singh Malkani (Akshat Jindal of Guddan..Tumse Na Ho Paega) loves the adrenaline rush accompanied whilst performing action sequences. 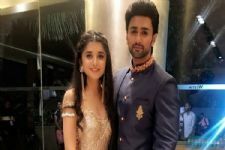 Having explored different aspects as an actor for various challenging scenes in the show, Nishant recently jumped from a height of 55 feet for one of the action sequences in the show. In the upcoming episodes, the Jindal family daughters-in-laws as well as Guddan (Kanika Mann) are held hostage by a group of terrorists. Immediately jumping to their rescue, Akshat steps in as the quintessential knight in the shining armour to save his family. Nishant who was super excited when he heard about the action sequence, quickly got into the Superman' zone and shot the sequence with a lot of enthusiasm. While the entire crew was a little high-strung and took all the precautions for the shoot, Nishant effortlessly completed the scene in one take. Nishant said, "I like doing all the action sequences myself and do not like using a dupe. This particular sequence was pretty tricky as I was tied to a harness and had to jump from a considerable height. But I have always believed that one should move out of their comfort zone and push themselves to do more and that is what motivated me." Guddan Battles Aquaphobia while shooting for an upcoming sequence of the show! There could have been no best substitute for Akshat Jindal than NISHANT SINGH MALKANI himself ! Nishant Malkani is amazing as Akshat Jindal in Guddan:Tumse Na Ho Payega. Kanika Mann is amazing as Guddan Akshat Jindal in Guddan:Tumse Na Ho Payega.